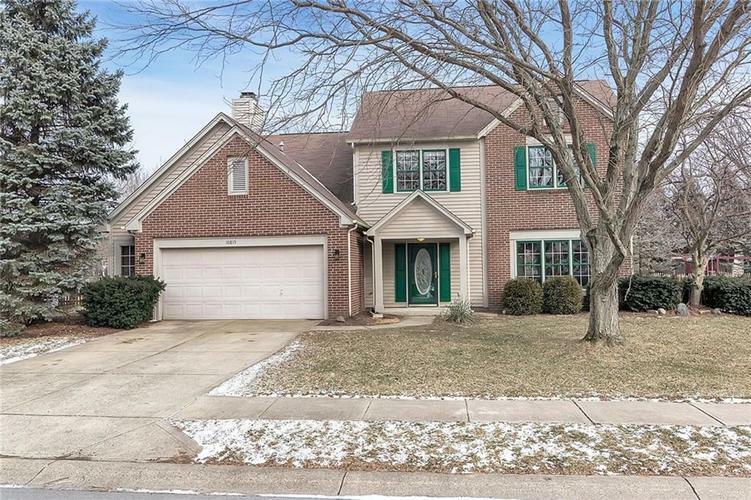 Picture perfect 4 Bdrm/2.5 BA home in downtown Fishers, situated on quiet cul-de-sac street featuring Lg bkyd w/mature trees.Enjoy hard to find privacy & Lg yard with nice deck. Formal living&dining rms off entry.Spacious kitchen with island & pantry w/ breakfast area.Bright & airy family rm w/ builtins & fireplace.Upstairs master has vaulted ceilings, huge walk-in closet & dual vanities.Convenient upstairs laundry.Finished garage has 4 ft extension plus extra storage&peg bd organization.Updates include: new interior paint,new carpet&gorgeous glass french doors that open to beautiful fully fenced back yard,great for cooking out,play dates or just relaxing!Walking distance to neighborhd park,downtown Fishers shps,restaurants&farmer’s market. Directions:This is a large area with several neighborhoods attached: For a quickest way:I-69 to 106th St exit, West on 106th St to Blackthorn Ct, Right on Willow Ridge, Rt on Thistle Ridge, Home is on Right side of street. Listing provided courtesy of The Real Estate Firm, LLC.